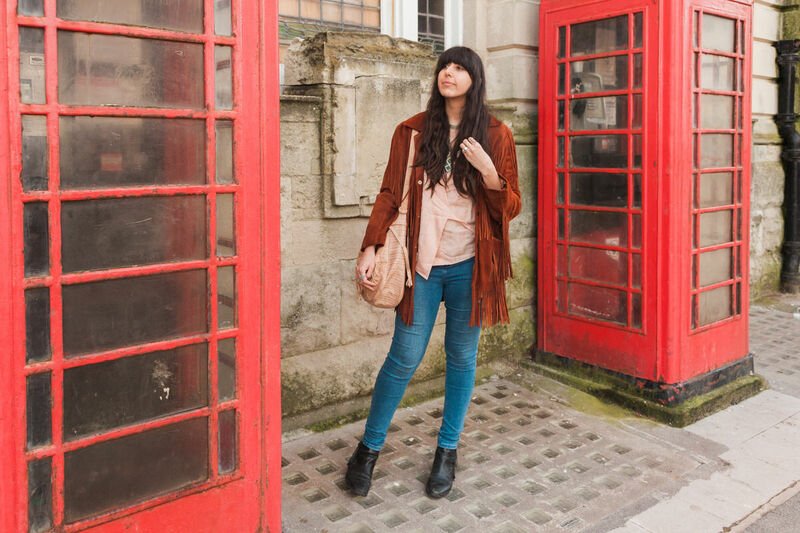 Some vintage pieces need their own blog post and this jacket is definitely one of those pieces! 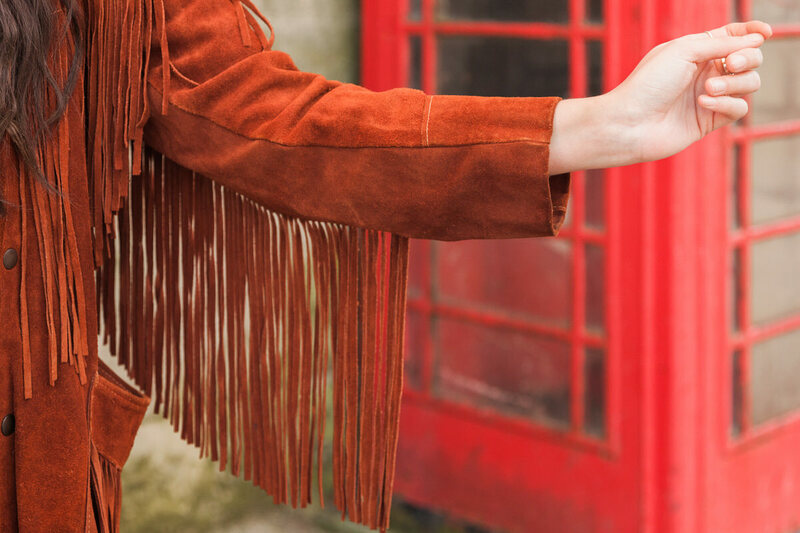 A perfect combination of rich rust and long fringing, this is a jacket that Hendrix would have been proud to call his own! 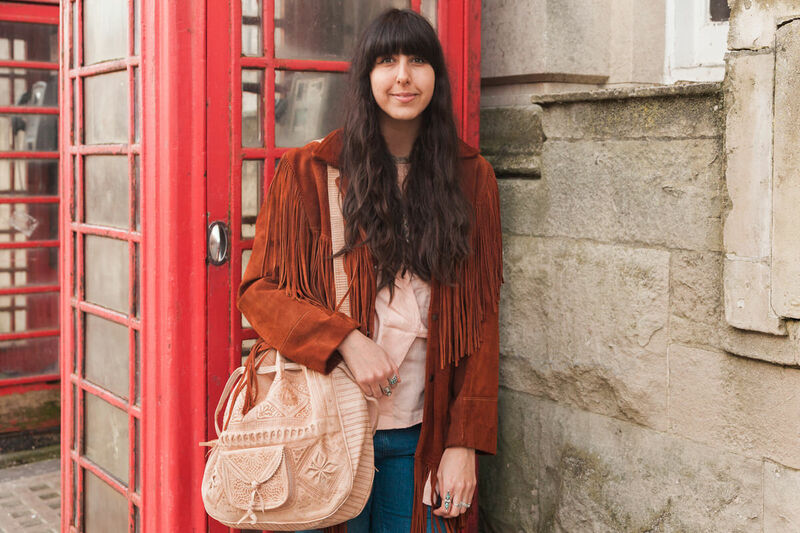 It’s the kind of vintage piece you can throw on and instantly feel good, you know the type of thing, an outfit fail safe! There’s something about this jacket that’s so versatile too, it’d look amazing teamed with full 70s vintage or kept simple with a band tee and jeans. 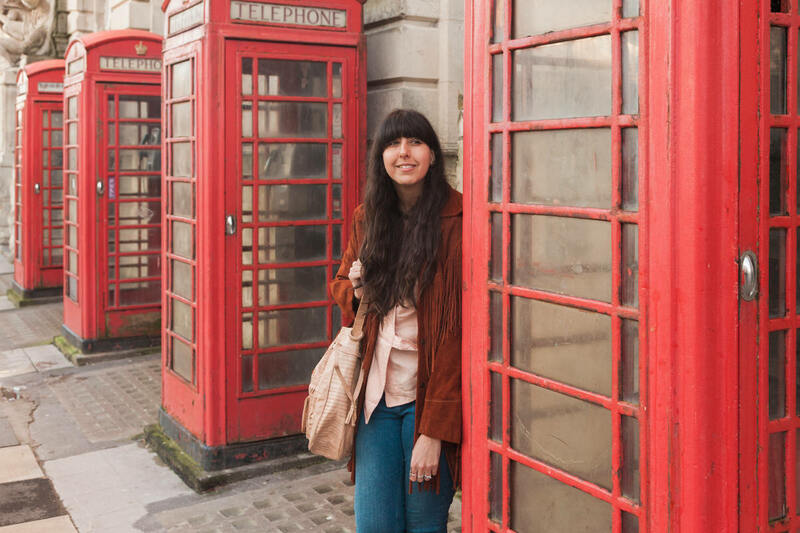 As a vintage shop owner, it’s easy to become a massive hoarder! I was so tempted to keep this stunning jacket but I want someone to feel as good wearing it as I did in the photos. It’s truly a special piece! I’m a big believer in spending more on those stand out vintage garments that make you feel your best! That’s why The Vintage Wardrobe is so carefully curated with wearable, unique vintage! In other news, I’ve started using my personal Instagram account after a bit of a hiatus. If you like 70s style, food and the beach (everyone likes a pizza photo, right?) give us a follow here. 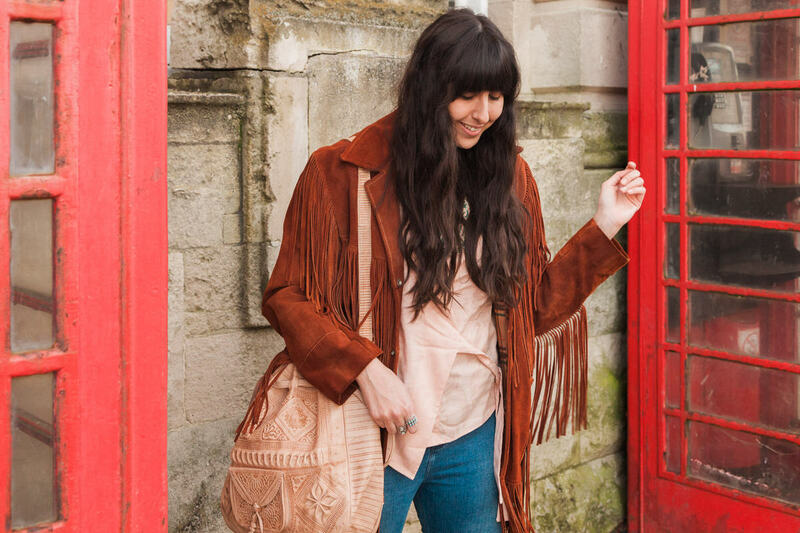 You can find this wonderful 70s fringed jacket here! Would you like to see more of these posts with me wearing the latest additions to the wardrobe? Let me know in the comments!